Looking for the easiest and most efficient way to relocate your home or office? Look no further than Removals Stroud Green – the reliable and trustworthy moving specialists in the N4 postal area. We know what professional removal services are all about, and we know how to provide them to our customers in the most efficient and affordable manner. No matter how basic or elaborate your removal requirements we have the right service for you. Choose from versatile and convenient service solutions like domestic removals, office removals, business removals, piano removals, furniture removals, rubbish removals and many more. For extra protection of your belongings during handling and transit, we strongly urge customers to use our professional packing service. Not that we intend to break or lose your stuff, but extra peace of mind is always a good thing. In case you wish to self-pack, we will be more than happy to provide you with the necessary packing materials at a very reasonable price. The entire relocation from start to end, this also includes packing, will be carried out by well organised removal teams, made up of specially trained movers. On the same note, we work with experienced drivers who will be extra careful and attentive when transporting your belongings from A to B. 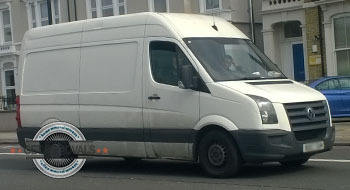 Removal of your items will be done in clean, fully equipped transport vehicles of the appropriate size and load capacity. Our fleet ranges from compact city vans to heavy duty intercity vehicles. Having the right vehicle for the job allows for swift and efficient transit of your belongings and lower transport costs. When it comes to affordability, the specialists handling our jobs for removal in Stroud Green are the movers that can actually save you money. We provide all customers with free, no obligation service quotes, flexible and fair pricing, and excellent midweek discounts on all moving services. Our customers will also receive important additional advantages such as twenty-four seven customer support, specialised removal coordination, valuable removal advisory, wide coverage on all deliveries and pickups, full liability insurance. While we do the heavy lifting for you, explore the multicultural character, and the international shopping and dining opportunities provided by Stroud Green. 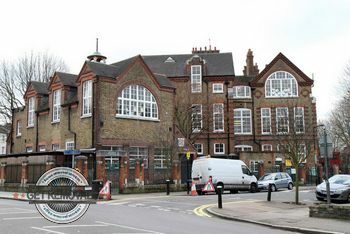 The area has a well-stocked commercial zone, stretching along Stroud Green Rd. The shops and stores are described as impressive and of clearly international character. Exotic restaurants in the area range from Caribbean to Chinese. Stroud Green Rd is also home to the original branch of the Italian owned pizza restaurants La Porchetta. Pubs and bars are also aplenty. Interestingly enough, there is a cluster of specialised wig shops one the Finsbury Park end of Stroud Green Rd. Finsbury Park is one of the first and most grand Victorian era parks in the city. It is not only a park, but also a music and performance venue. The total surface are of the park is close to fifty hectares. One other place of interest in Stroud Green (especially for football fans) is Arsenal FC’s home pitch – the famous Emirates Stadium. Stroud Green gets pretty packed with people and traffic after Arsenal’s games.